Q:What is the fabric - cotton? 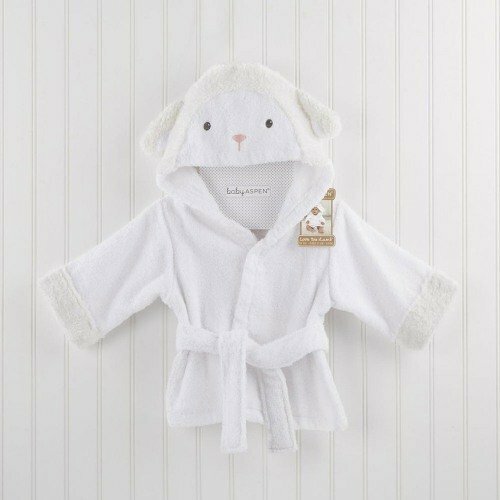 Keep baby cozy and warm after bath time with this personalized lamb bath robe. This lamb-inspired bath robe features a lamb tail, hood, fluffy lamb ears, and an adorable lamb face that will make baby look irascibly cute! Trust us, mommy-to-be won't be able to resist wrapping baby in this sweet robe after each bath!